This one hurts. 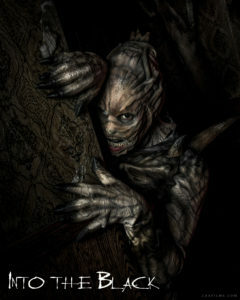 Not only is it personal, it is a sobering wake-up call to the entire SoCal haunt community in general. 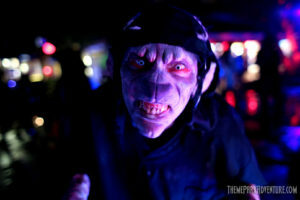 Boney Island, the beloved, family-friendly home haunt in Sherman Oaks has been cancelled; permanently shuttered, thanks to a couple of uncooperative neighbors and city officials that saw an opportunity to make some money, rather than stand behind an event that brought so much happiness and good to Los Angeles. 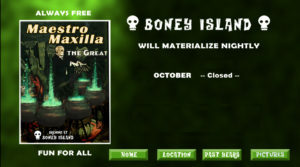 The announcement of Boney Island’s closure just days before its 2017 season isn’t the end of the story – it’s the beginning of something much, much bigger and important that everyone needs to be aware of. It’s been a big year for Six Flags Magic Mountain. This summer, the thrill park in Valencia, California, opened its first dark ride ever – Justice League: Battle for Metropolis. Also this summer, Magic Mountain announced that it would be open 365 days beginning in January 2018, putting it on par schedule-wise with nearby competitors Universal Studios Hollywood, Knott’s Berry Farm, Disneyland Resort, and both LEGOLAND California and SeaWorld further south. Now that we’re well into the Halloween season here in Los Angeles, Fright Fest 2017 is in full swing, scaring up fantastic attendance and spooky fun for guests of all ages!